Private Stacy Lane wasn’t looking to “be all he could be” when he joined the U.S. Army, he was just looking to pay off his student loans. Even so, his three years in the military expanded his notion of who he was and what he could be. Flag dancing isn’t one of the courses offered in basic training, but after being discharged from the Army for being gay, flagging was one of the skills Stacy took home with him, that and a certificate in electronics repair and maintenance. Small towns aren’t often on the cutting edge of federal policy, but Graham, Texas (pop. 9,000), where Stacy grew up, was a very early innovator of “don’t ask, don’t tell”. The only sign of homosexual life in Graham was to be found inside the town’s lone florist shop, run by a couple of suspiciously single older gentlemen. But no one talked about it. Graham is a bastion of conservative Christianity, and the Lane household was no different. Stacy’s graduation from Abilene Christian University was very pleasing to his deeply religious family, but along with the notes of congratulations came the payment book for over $20,000 in student loans. Though a military career wasn’t something Stacy had ever considered, he was bewitched by the Army’s generous offer to repay his student loans. And so, Stacy Lane enlisted in the Army, and dedicated himself to studying electronics repair and maintenance and completing his basic training at Fort Jackson, S.C., before being shipped off to serve at Fort Bliss, in El Paso, Texas. Possessing a college degree entitled Stacy not only to the higher rank of Specialist, but also a private room. In an atmosphere drenched in homophobia, Stacy kept his sexual orientation closeted on the base. “You’d hear anti-gay comments everywhere, everyday, from just about everyone,” Stacy says. Ecstasy has a way of lighting up a room. 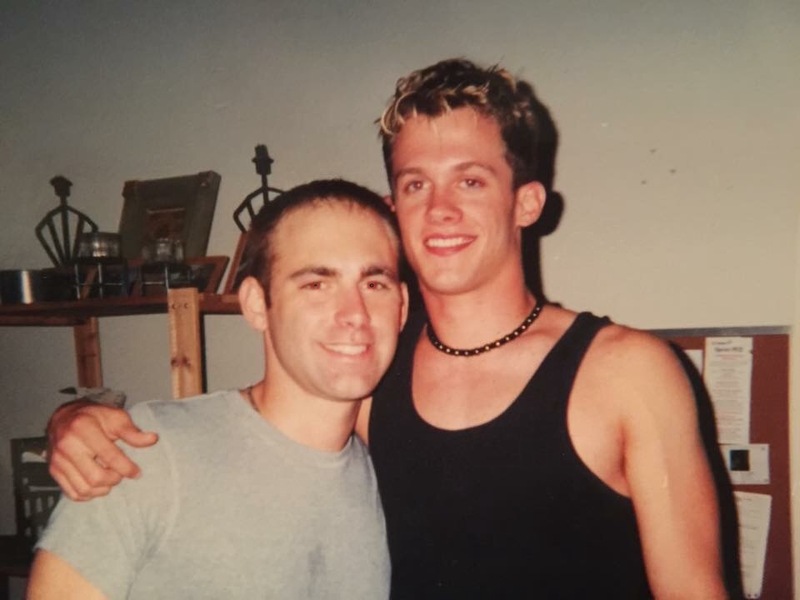 The summer of 1999 brought a fresh batch of soldiers to Ft. Bliss among them a blonde haired boy of 18, named Jason, who was assigned to work in the electronics shop alongside Stacy. “He was the cutest thing I’d ever seen,” Stacy recalls. When Jason began tagging after him, Spc. Lane was thrilled to take this adorable but straight young lad – with liquid-blue eyes – under his wing. Together, they would hit the straight clubs in town, or hang out in Stacy’s private room playing on the computer. “Uh, yeah,” was the only response Stacy could stammer. 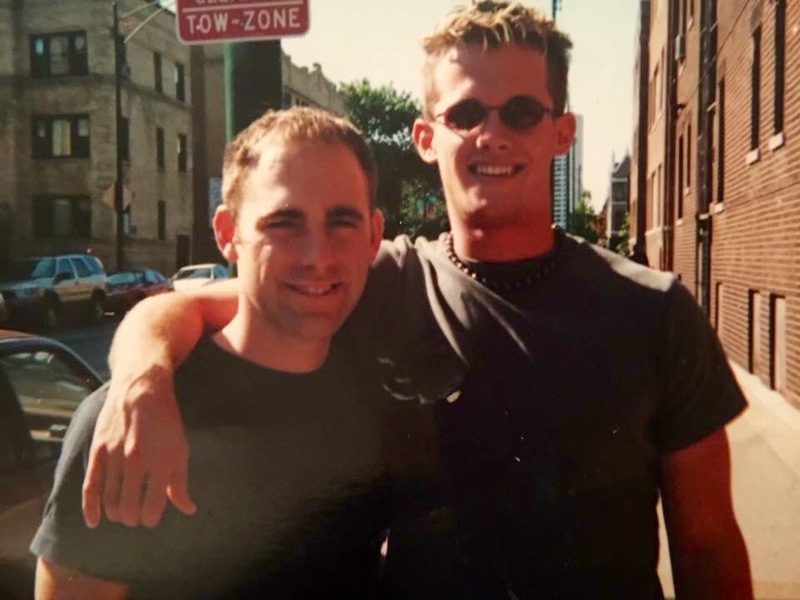 Luckily, Jason thought having a gay best friend was the coolest thing that had ever happened to him, and immediately pressed Stacy to take him along on a journey to Albuquerque and to the electric sights and sounds of The Pulse. Pvt. Stacy Lane never realized going into the Army would help him come out of the closet. What a relief it was to have a friend he could be honest about himself with. Jason didn’t mind at all that his new buddy was gay; he liked how the gays rolled. To him, gays had more class, dressed better and knew how to party. After discovering Stacy’s secret, the only thing that changed was the bars they frequented. On weekends, Jason and Stacy took a pass on the tired watering holes of El Paso in favor of the dry glamour of Albuquerque, N.M. There, at a gay dance club called The Pulse, they discovered not only an alternative to the beer-swilling in El Paso, they found an alternative to beer. Dropping ecstasy for the first time, Jason recalled the experience as feeling like his brain was taking a bubble bath. For Stacy, the experience was more revelatory: “It opened a whole new world. I made a connection about being gay and who I was”. Jason made a connection that night as well, after the owner of The Pulse spotted this boy-Adonis gyrating atop a box on the dance floor. “Come see me.” the owner instructed, tucking a $10 bill into the waistband of Jason’s underwear. Later, the owner offered Jason a job dancing on the weekends. For months this happy attangement continued. Stacy and Jason dutiful soldiers during the work week, but tearing it up in Albuquerque on the weekends. The owner of The Pulse even arranging for a helicopter to fly his new star in for performances. But all good things get ruined by the government eventually. An organization that regulates how you make your bed isn’t one likely to tolerate recreational drug use. It was just before Christmas when Lane was called for a routine random “monitored urinalysis”, but he wasn’t concerned. The Army didn’t test for ecstacy, he thought. That was about to change, but Stacy hadn’t gotten the memo. Besides, Stacy’s mind was more focused on ringing in the millennium at his very first circuit party, the New Year’s Masterbeat Millennium party in Palm Springs, California. Upon reporting for duty on the first Monday of the New Year, the platoon sergeant gave Lane the ominous order, “Talk to me after formation”. Being handed scientific proof that his $30 Ecstasy purchase had been well spent offered Lane little consolation when he was informed that his pre-Christmas urine sample had tested positive for MDMA, the molecular signature of ecstasy. For peeing “hot”, Specialist Lane was reduced in rank to a Private and his pay docked and he was further punished with 45 days of extra duty and 45 days restricted to his barracks. Upon hearing this, Jason almost fainted. Even before his buddy got busted, there were rumors circulating on base that a certain blond-haired private was working as a go-go boy in a gay nightclub. Serving your country is said to be an honor, but that’s because Uncle Sam is a lousy tipper. It became an open secret that Jason had been augmenting his meager Army salary by dancing in his undies at The Pulse. Hearing the bad news that his partying days were over. Jason felt trapped. He was in a panic and he had to get out. The rumors concerning his part-time “job” gave him an idea. This straight boy was about to “come out”. Before “Don’t Ask, Don’t Tell” was tossed, declaring yourself a homosexual would get you discharged, but it would take many months. An investigation would be performed and paperwork filled out. Around this time, the Army also had become suddenly sensitive to gay bashing, stemming from the August 1999 beating death of Pfc. Barry Winchell, whose complaints of anti-gay harassment were ignored because, as Winchell’s Sergeant later testified, “everybody was having fun”. So, when Jason “outed” himself, the brass were protective of him to the point of ridiculousness. While Stacy toiled away in the hot sun raking gravel, Jason was given his own quarters and air conditioning. Though Stacy badly wanted to follow Jason’s lead, he felt like he had to take his punishment. His honor wouldn’t allow him to give the impression that he was only coming out to avoid taking his medicine. For 45 days he couldn’t leave the base. After working his regular shift in the electronics repair shop, he was ordered to perform extra chores like raking gravel or cleaning the latrines. In his alone time, Stacy’s mind kept returning to something strange and wonderful that happened to him at the New Years Eve party in Palm Springs when the mystical quality of hallucinogens were revealed to him on the dance floor. Overheated and sweating from all the dancing, Stacy suddenly felt a rush of cooling wind on his back as he knelt there on the edge of the dance floor. Then he felt a soft fluttering against his skin. Raising his head, Lane was awed by the beauty of what he saw. 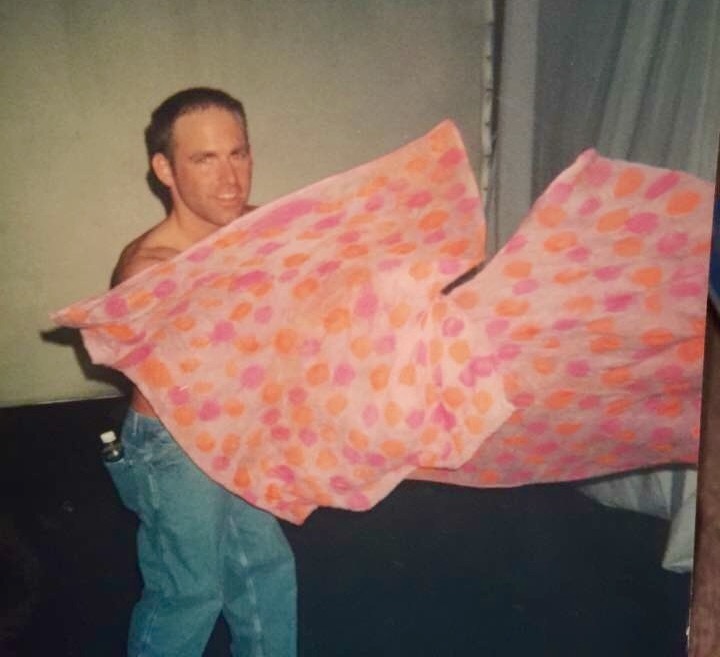 Like an angel with pink fabric wings, a man stood above him as a guardian, spinning a pair of soft pink flags gently over Stacy’s body as if to soothe him, and Stacy recalls feeling as if this ethereal flagger was somehow transferring energy to him through the twirling soft fabrics. While confined to base, Lane ordered a pair of flags from a website called Flag Troop, with delivery promised within three weeks. It seem like forever, but one day after lunch his flags arrived – along with a brief instruction book. 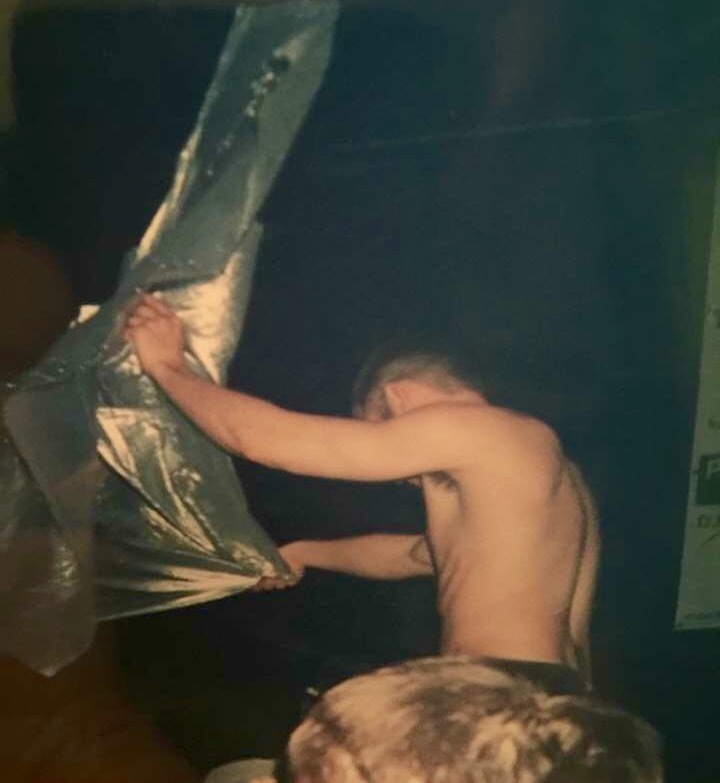 Stacy took his package to his room, where he pulled out his new silver lamé flags and – completely neglecting the safety warnings in the instructions – he gave his weighted twin fabrics a feverish twirl and in the process, he knocked everything off the counters and hit himself in the eye. Selecting Julian Marsh’s “Proud” mix CD, Stacy pushed back all the furniture and cleared off all the counters. He picked up the flags and began to twirl, and all of a sudden everything started coming together. He was one with his flags and his music and with himself. Some nights Jason joined in, bringing a miniature disco ball. They taped glow sticks to the ceiling fan and with the music pumped as loud as possible, there in the barracks, the two army boys danced shirtless about the room at their own private circuit party. On Valentine’s Day, after completing his 45 days punishment, Pvt. Lane Lane declared himself a homosexual to his commanding officer, setting in motion his discharge from the Army. After discharge, Jason moved to Albuquerque, while Stacy packed his bags for Chicago. Despite their geographical distance, the two remain close friends. In other words: “Be all you can be”.